This paper reports on a mechanism to identify temporal spatial trends in social networks. The trends of interest are defined in terms of the occurrence frequency of time stamped patterns across social network data. 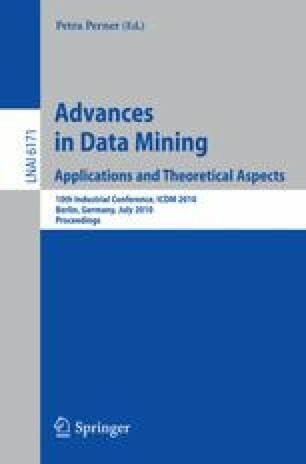 The paper proposes a technique for identifying such trends founded on the Frequent Pattern Mining paradigm. The challenge of this technique is that, given appropriate conditions, many trends may be produced; and consequently the analysis of the end result is inhibited. To assist in the analysis, a Self Organising Map (SOM) based approach, to visualizing the outcomes, is proposed. The focus for the work is the social network represented by the UK’s cattle movement data base. However, the proposed solution is equally applicable to other large social networks.